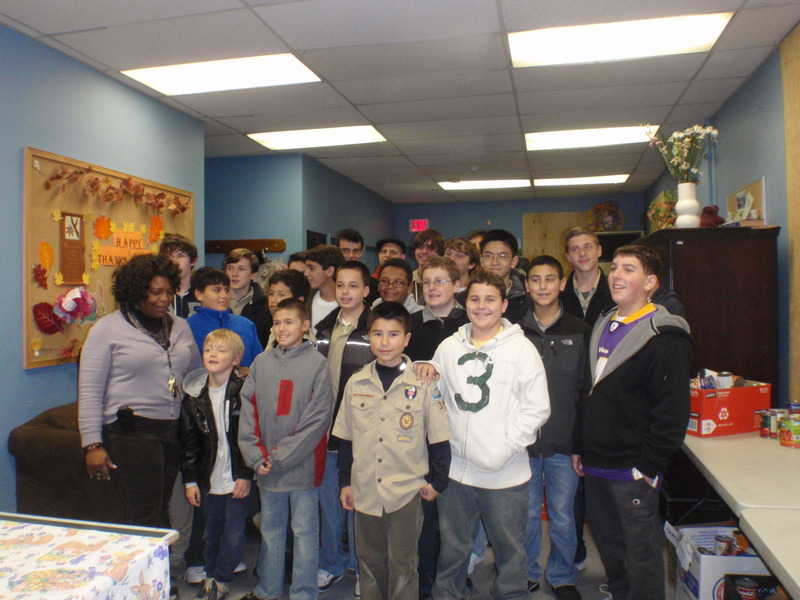 Given the difficult economic times, Troop 353 made an extra special effort in 2010 to gather more food for the Eastchester Community Action Program’s (ECAP) Annual Thanksgiving Food Drive. First, we asked local golf pro Dave Stevenson to come share his story about being his personal calling to help Hurrican Katrina victims in Mississippi after that massive storm decimated so many communities. Dave’s message is one of inspiration and hope to our troop families. After our scout families hear this story, the boys then drop off empty foodbags in their neighborhood with a cover letter that indicates the Boy Scouts are helping ECAP in its annual Thanksgiving Food Drive (for the 17th year in a row!) and that the scout will pickup the filled grocery bag the following weekend. This year, the scouts got further organized and arranged to station themselves by patrol at various local grocery stores in order to seek additional food donations–which proved to be very successful. Then on Sunday night, scouts and parents alike descend on ECAP headquarters and begin to unload the +200 grocery bags, sort and stack in the correct shelf in the food pantry. By the way, the ECAP food pantry often feeds other needy families beyond our town’s borders. A Scout is Helpful, as these great photos will confirm! 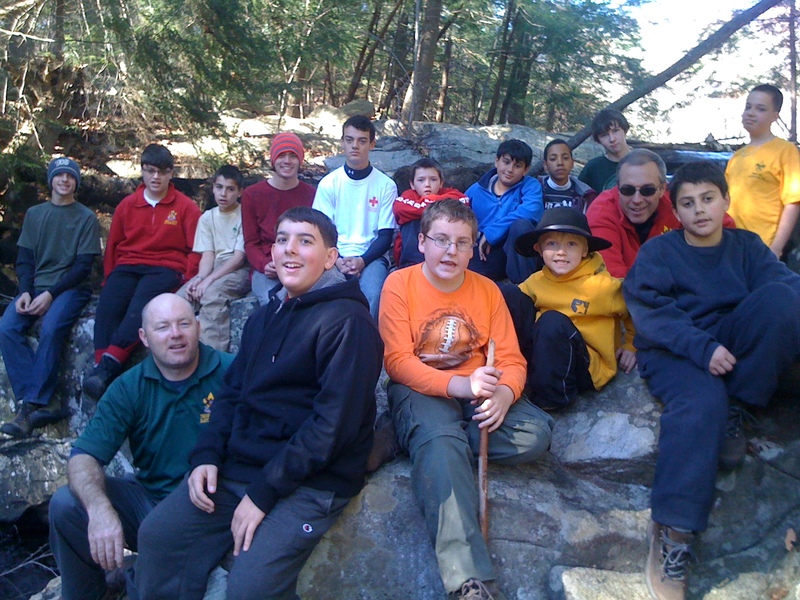 Troop 353 is blessed to have many friends and adult advisors. One of the more interesting activities the troop has added for its older boys is that of sailboat training. There are ample waterways for boating pleasures in our area and the skills needed to sail a boat have many parallels to basic scouting skills: navigation, weather, mapping/charts, ropes/lines and, more importantly, it requires well-coordinated teamwork! 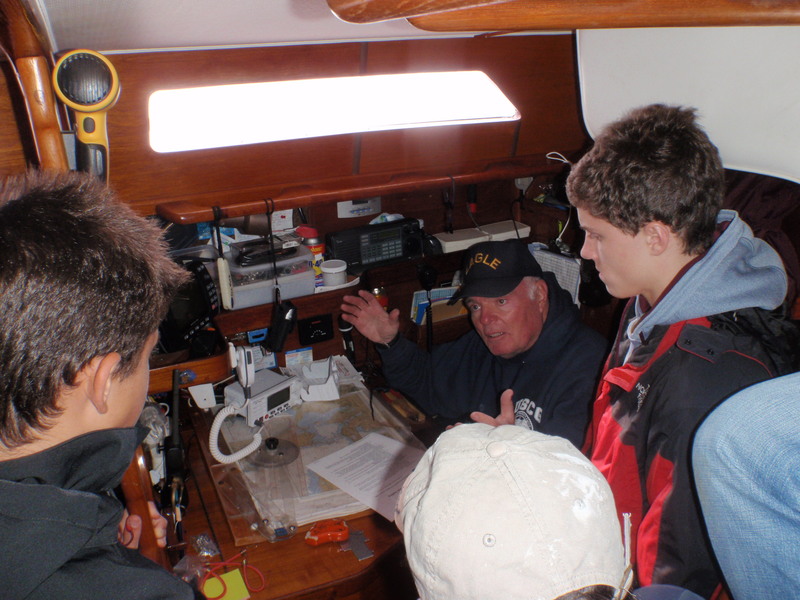 Sr Committee Advisor, life long sailor, and a former Boy Scout, Mr. Bob Frost recently volunteered to give some of our older scouts a tour of his personal sailing vessel, The Sea Note. Mr. Frost explained the multiple navigational systems and backup systems, along with a host of practical safety issues. Though it was too cold to get out on the water that day, the “intro” served to whet the boy’s appetite for more sailing next spring. The boys quickly realized that there was a lot to learn and were deeply appreciative of Mr. Frost’s generosity, as these pictures clearly indicate!